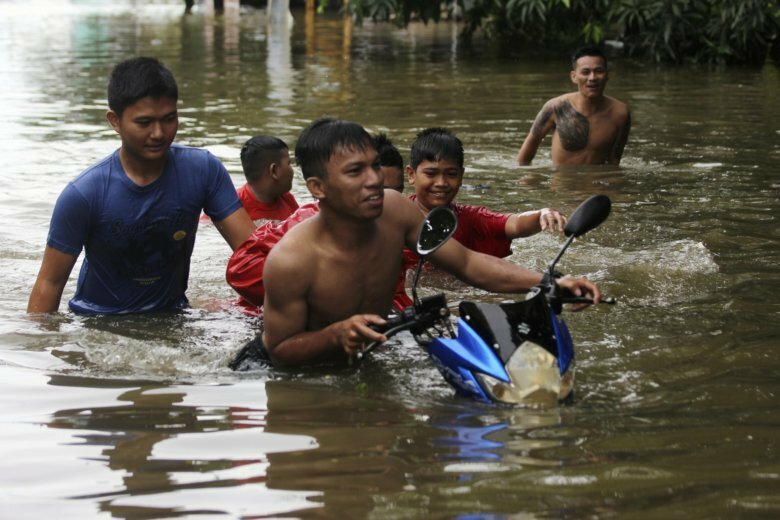 MAKASSAR, Indonesia (AP) — Floods and landslides in a central Indonesian province hit by torrential rains this week have killed 30 people and left more than two dozen missing, the national disaster agency said Thursday. Adnan Purichta Ichsann, the chief of Gowa district near Makassar, says operators of the Bili Bili rock-fill embankment dam were forced to release water on Tuesday, which contributed to flooding but avoided a worse disaster. South Sulawesi Gov. Nurdin Adbullah told local media that siltation of the dam and deforestation of the upstream watershed worsened the floods. The head of the provincial disaster agency, Syamsibar, who goes by a single name, said the amount of rainfall was declining Thursday and the Bili Bili dam’s water level had dropped by about two meters (6.6 feet). A landslide in Sukabumi on the country’s most populous island of Java earlier this month killed 32 people.